In Slazenger Heritage, we love talk about the places where our legends have won some award. These places are magical for our brand. 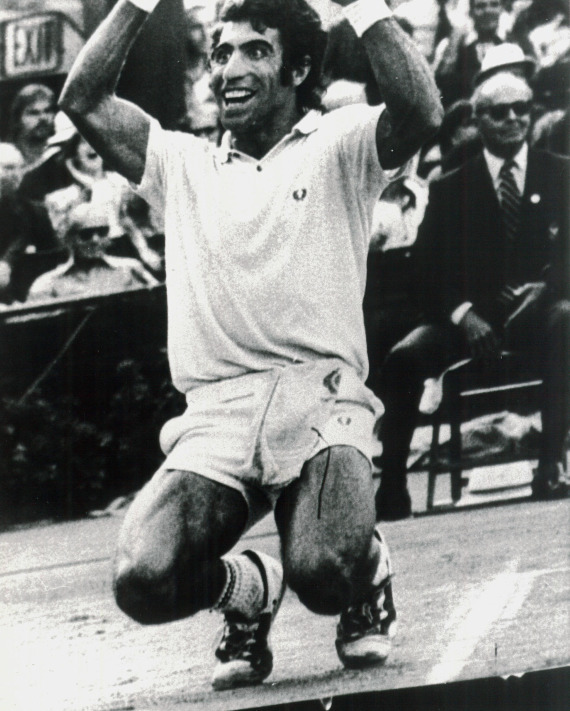 In this case, we are going to talk about Forest Hills Courts, where Manolo Orantes, one of our tennis legend, won the US Open in 1975 with his iconic Slazenger Challenge nº 1 wooden racket. 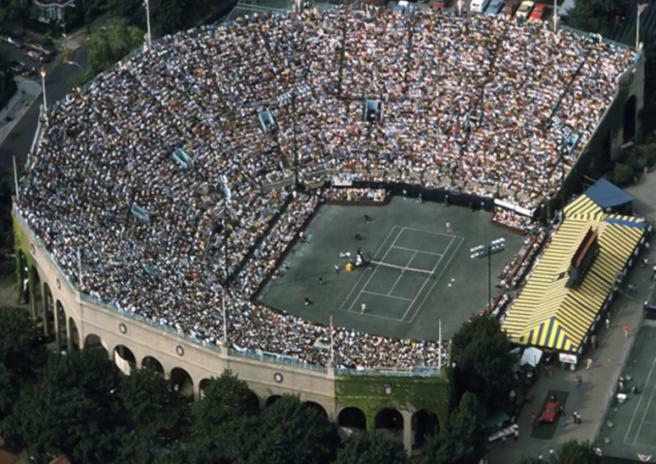 Forest Hills Courts was the headquarter of US National Championships of tennis from 1915 to 1978. 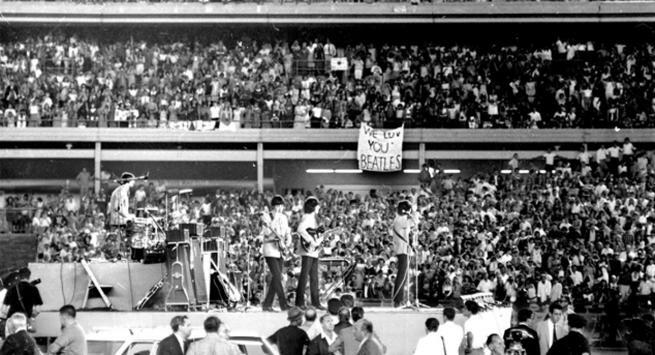 In addition, this stadium was the place where several milestones of the world of tennis happened as the union of male and female events in the same scenario or the victory of two black players in 1950 and 1958. The great American champions turned Forest Hills into a kind of tennis sanctuary, both for the number of competitions, and for being chosen as the perfect center for the training. Between 1937 and 1950, in Forest Hills the hegemony of the American masculine tennis stayed, until in 1951 Frank Sedgman obtained the first Australian title. Later, two Spanish victories took place, firstly Manolo Santana in 1965, and ten years later, his disciple and our legend Manolo Orantes. Nobody believed that Orantes could beat Connors in that US Open in 1975. But at Forest Hills, Manuel played perhaps the best game of his life, as he himself has sometimes recognized, and beat Connors 6-4, 6-3, 6-3. Complementing tennis, the Forest Hills stage was perfect in the 60s to celebrate the summer Forest Hill Music Festival, which in its first editions hosted musical leaders such as The Beatles, Frank Sinatra, Rolling Stones, Bob Dylan, Joan Baez, Simon and Garfunfel, The Doors, Janis Joplin, Count Bassie, The Band, Leonard Cohen or Marvin Gaye. From Slazenger Heritage, we hope you have enjoy this post. Do not hesitate to contact us for further information.